Scientists may have found a way to control neurons inside of the brain. Researchers from the University of Illinois and the Washington University School of Medicine have developed a minimally invasive remote-controlled “optofluidic tissue implant” device. This futuristic device, described in a recent study published in the journal Cell, allows neuroscientists to influence the neurons of brain cells in mice with drugs and lights. Powerful nano-manufacturing strategies are used to make the implant that can penetrate deep in the brain without any serious damage. The device is made from soft materials. It is 80 micrometers thick and 500 micrometers wide—one-tenth the diameter of a human hair. The study tested the potential of the device’s drug delivery system after placing it into the brains of mice with surgery. Some experiments had mice walk in circles after the injection of a morphine-mimicking drug into the motivation and addiction region of the brain, called the ventral tegmental area (VTA). In another experiment, researchers injected viruses with the implant to precisely map brain circuits with genetic dyes. Another experiment had mice with light-sensitive VTA neurons stay on one side of the cage, and the scientists commanded the implant to shine laser pulses on brain cells. Overall, the researchers tested 30 different prototypes before the device produced positive results. They also provide detailed directions for implant manufacturing in the study. Bruchas and his research team study brain circuits that control disorders such as pain, stress, addiction, and depression. In brain circuit studies, scientists typically deliver lights with fiber optic cables or inject drugs through big metal tubes. However, these options can cause brain damage and interfere with the natural movements of the animals being studied. The new optofluidic implant is thinner than the cannulas or metal tubes used to inject drugs. Researchers suggest that the new implant could produce less brain tissue damage than the devices typically used. 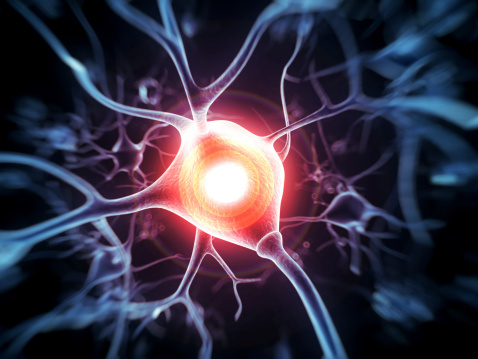 The National Institutes of Health partially funded the remote control brain neuron device. “Futuristic brain probe allows for wireless control of neurons,” National Institutes of Health web site, July 16, 2015; http://www.ninds.nih.gov/news_and_events/news_articles/pressrelease_futuristic_brain_probe_07162015.htm. Jeong, J.W., et al., “Wireless Optofluidic Systems for Programmable In Vivo Pharmacology and Optogenetics,” Cell July 16, 2015, doi: 10.1016/j.cell.2015.06.058.